Believe the hype about the new Shake Shack in Marlton. The popular fast-casual restaurant opened its first South Jersey location to much fanfare last Thursday, sending some of its proceeds to The Food Bank of South Jersey and doling out freebies to the first 100 in line. 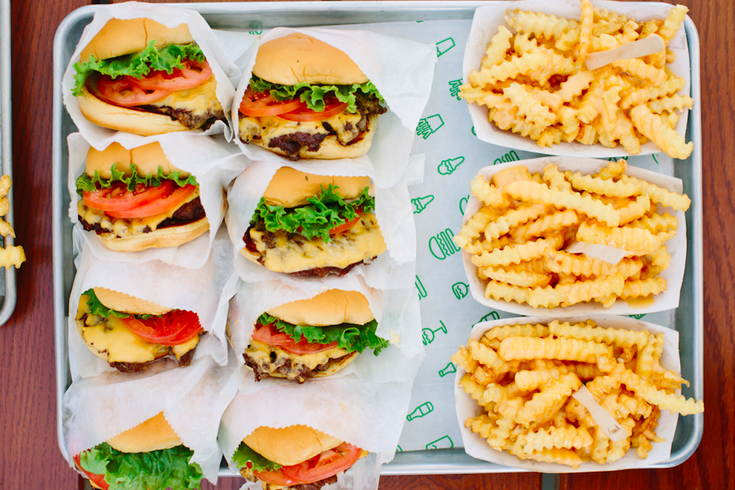 No customer so far has been happier with his Shake Shack experience than Marcus Jeffers, who told FOX29 that the spot decision to glorify his hamburger took all of two bites. The reaction video shared by Jeffers has been viewed more than 7 million times. What could have been perceived as a hostile or threatening moment turned into a restaurant-wide celebration of employees Jason and Mike. Shake Shake was thrilled with the review. The new restaurant is at The Marlton Commons shopping center off Route 70. And a heads-up to any Philly transplants in New York City: Shake Shake will debut a one-day-only cheesesteak on April 3 at the Madison Square Park location, if you have dreams following viral coattails. Just don't tell the person who made it that it's terrible.